Click the next search result. The next. They realize they need to refine their search with a different word. They see a link on Facebook and click it. Skim. Back to Facebook. For most websites, 99% of visitors won’t take the next step to contacting or buying on that first visit. And 98% of them won’t come back. There are contingencies you can put in place to take that same number of existing website visitors and increase the 1% of people who enter your sales funnel and turn it into 2, 5, if you’re amazing, 20%. Now instead of getting 1 new Lead from every 100 website visitors, you get 5. These contingencies will help you plug the holes in your online bucket so you stop leaking so many opportunities. Your first line of defense for a website visitor leaving is an exit intent pop up offer. This is when someone moves their mouse outside of the browser (with the intention of closing the window or typing in another website to visit), a pop up appears to catch their attention and gives them an offer for a Lead Magnet so you can get their email address and enter them into your email list for building a relationship. 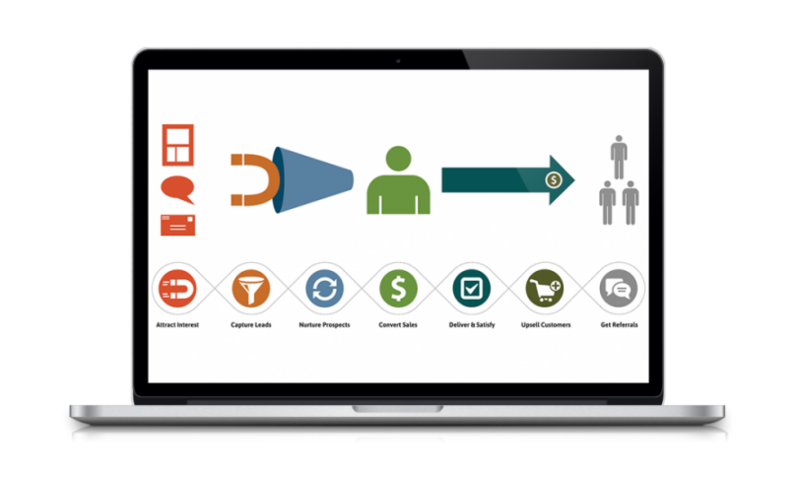 Retargeting ads can be used for a lot of different things like educating leads through their buyer journey, upselling relevant products to new and existing customers, and promoting new offers to your customer base. But for this contingency plan, it’s to bring them back to your website and get them opted into your email list. If someone visits your website and doesn’t achieve a desired goal, you can run targeted ads for them specifically that continue the conversation of what they were looking for and bring them back to your site to take the next step. If you have an ecommerce site, then abandoned carts are always going to be a place to look to increase your sales. Studies show that over 65% of people who add something to their cart end up not buying it at that time. And I would take an educated guess that that number is conservative. In addition to running retargeting ads at those people, if they have an account with your site already (meaning you have their email address), then you can send emails triggered on their website behavior. If/when someone is logged into their account and adds something to their cart but doesn’t check out, you can automatically send an email. This can be a simple reminder in case they got distracted, or even a free shipping or discount offer to encourage them to come back and complete their purchase. These kind of automated emails have been known to bring back up to 33% of abandoned carts. So if you have 100 people add something to their cart, at least 65 of them are going to leave without buying. If you have your contingency plan in place, you can bring back 22 of those people to complete their purchase. Any ecommerce site without an abandoned cart contingency plan in place is losing 22% of their sales! That’s a lot of free money to leave on the table for any business. The same story applies for websites that focus on generating Leads (as opposed to online sales). 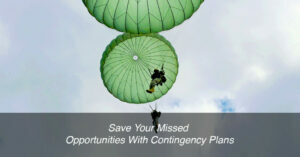 With the right contingency plan in place, you can be on top of every missed opportunity, even though you probably don’t even know you’re missing out on them.